I loved this one and so do others. 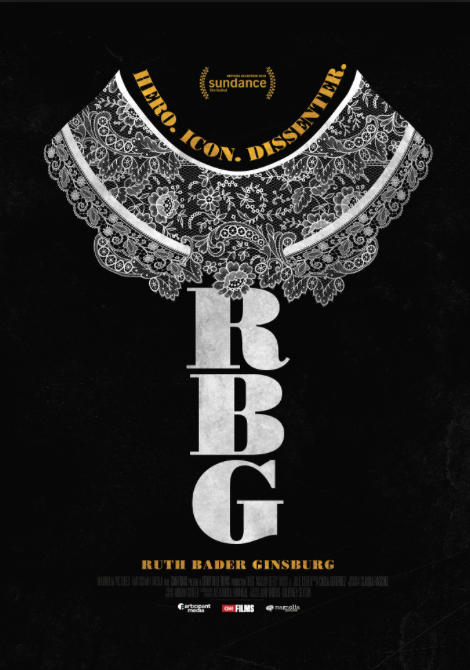 RBG is a timely documentary portrait that looks at the little known (until now) Supreme Court Justice Ruth Bader Ginsburg who has become a pop culture icon at the age of 84. It's an outstanding portrait of a woman who never stops, works tirelessly and is a notable mind and master legal strategist. This one moved me and left me much better informed before I went it as Bader Ginsburg's life and the trajectory is remarkable, as it is fascinating. Directed by Julie Cohen and Betsy West - this is how documentaries are made well. It meshes and weaves well, as we go through her life from Brooklyn, onto Harvard, onto professor and then beyond. It also shows how life has evolved over the decades. RBG herself is remarkable, not only for her talent but is a powerhouse in that she has handled two bouts of cancer and still manages to exercise regularly at the gym. She is a force of nature and a role model to so many. Even though until now, most of us didn't have a clue about anything but the elderly lady in the robe and figured she earned her place on that big bench but now we know why. A story of a woman who has worked tirelessly and now at the age of 84, we have truly taken notice. This is one of my favorite documentaries so far this year.